Fun loving, easy going, family based in Graceville, Brisbane are looking for their next happy & healthy Au Pair to care for their two lovely boys aged 2 and 4 years old. The family like to go to the beach, walks to the park, swimming in their pool, catching up with friends and would love someone who wants to be apart of a family. The family have a spacious, newly renovated, 4 bedroom, 4 bathroom Queenslander home with pool. The Au Pair will have their own private room and bathroom. Graceville is a lovely, leafy suburb near the river and only 8kms to the city. It is just a 10 minute walk to Graceville train station. Bus stop around the corner that takes you to the beautiful South Bank. There are plenty of cute cafes, parks, restaurants and shops within walking distance. In addition to incredible accommodation and all meals, WiFi you will receive and weekly pocket money. Your help will include light housework, cooking simple meals for the kids. 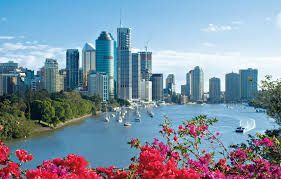 3 day weekends also which will allow you to travel and explore the beautiful coastline of Queensland. If you are energetic, enjoy taking kids on outings, playing with kids, integrate into family life and a confident swimmer, then this is the Au Pair position for you. You must have some good experience caring for young children and feel confident to look after the children on their own. No driving required for this family!! Start date ASAP April 2019 for 3-6 months. All our families are screened to ensure your safety. 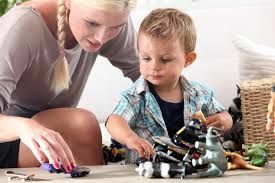 We do not charge Au Pairs for organising and introducing you to Families.